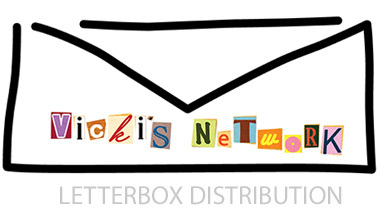 What makes a successful letterbox drop? For more than 15 years, Vicki’s Network has been helping companies like yours by distributing your advertising material throughout the Sutherland Shire and surrounding areas. We deliver everything and anything as long as it fits inside a letterbox! (Addressed mail, business cards, calendars, flyers, leaflets, magnets, menus, pamphlets and post cards). Our goal is simple: to deliver your advertising material to every household on time. We’re small enough to take real pride in each and every job we deliver, yet agile enough to take on projects of all sizes. Whether it be an event, product or simply brand awareness we are here to help you reach your target market.